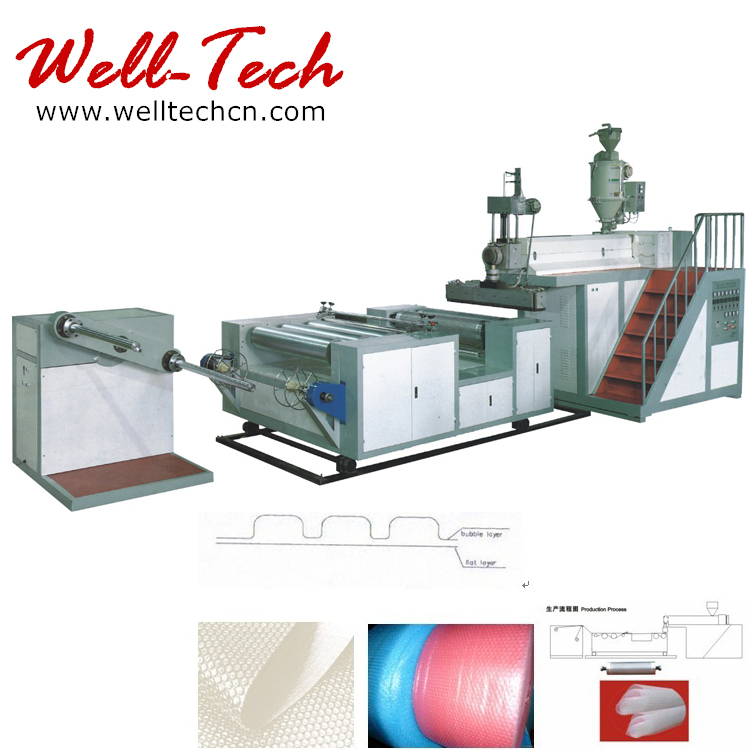 This machine adopts once-through shaping technique, thus has high efficiency and excellent product quality. 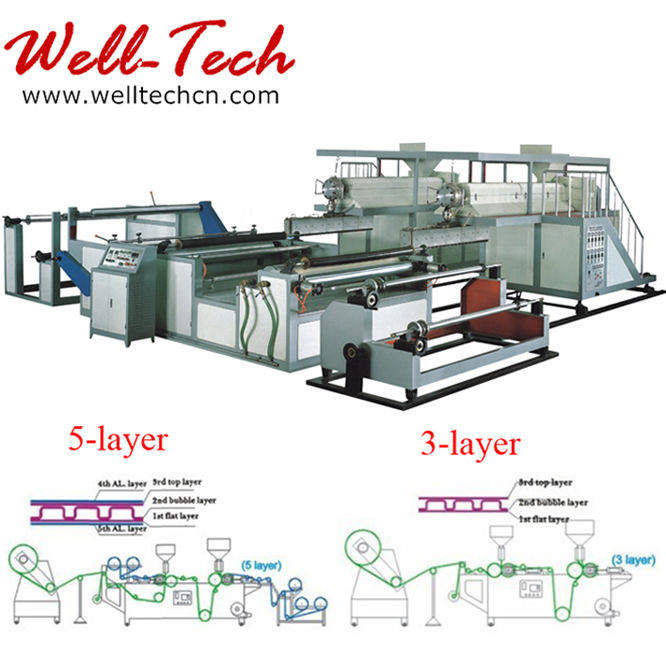 This machine set has such features as scientific and reasonable structure design, smooth and reliable running and convenient operation and maintenance. 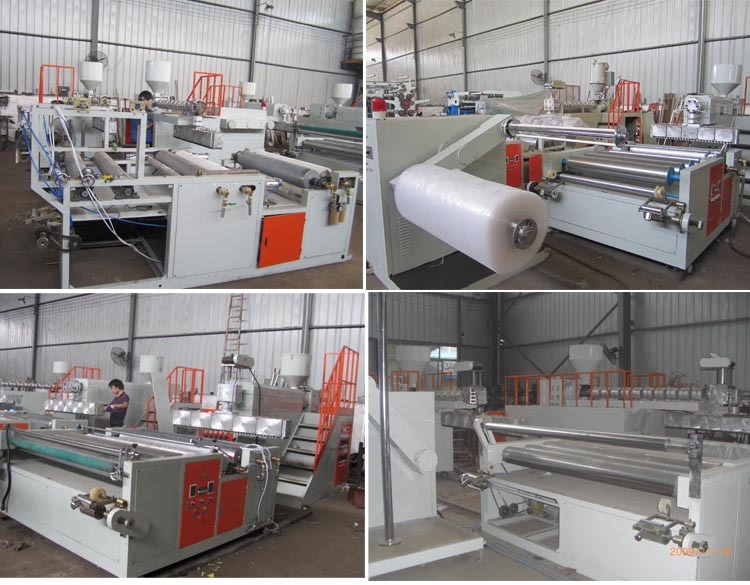 Polyethylene air-cushion film (also called polyethylene bubble film), which is divided into two kinds including ordinary polyethylene air-cushion film and composite polyethylene air-cushion film, is a kind of packing material which has been widely used at present. It not only has good cushioning effect, shock resistance and heat-sealing performance, but also has such advantages as good corrosion resistance and transparency, etc. So it has been widely used for packing, household wares, post parcel, bicycle, polyurethane furniture, etc. New material and recycled material can be both used for producing air bubble film. 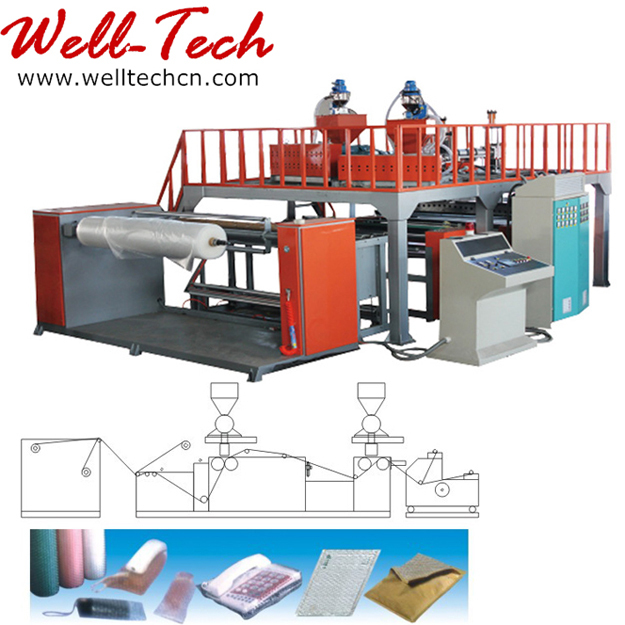 Color masterbatch can be added for producing color bubble film.